Everything about this room speaks to me. 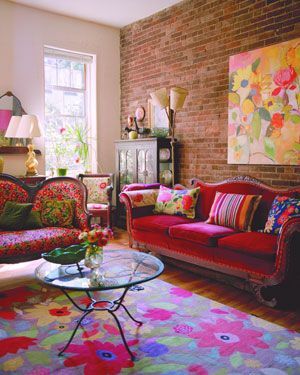 So warm and cheery, and I love the exposed brick wall. The painting is perfect, and somehow the rug doesn’t clash with it. If anyone knows the designer for this room, please comment!